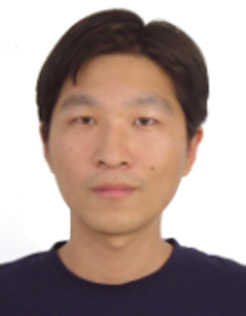 Haiming Zhang, Lifeng Chi*, Gold-organic hybrids: on-surface synthesis and perspectives, Adv. Mater. 2016, 28, 10492-10498. Haiming Zhang, Zhongmiao Gong, Kewei Sun, Ruomeng Duan, Penghui Ji, Ling Li, Chen Li, Klaus Muellen, Lifeng Chi*，Two-dimensional chirality transfer via on-surface reaction, J. Am. Chem. Soc. 2016, 138, 11743-11748. Haiming Zhang, Haiping Lin, Kewei Sun, Long Chen, Yulian, Zagranyarski, Nabi Aghdassi, Steffen Duhm, Qing, Li, Dingyong, Zhong, Youyong, Li, Klaus Muellen*,Harald Fuchs*,Lifeng Chi*, On-Surface Synthesis of Rylene-Type Graphene Nanoribbons, J. Am. Chem. Soc. 2015, 137, 4022-4025. Haiming Zhang, Joern-Holger Franke, Dingyong Zhong, Yan Li, Alexander Timmer, Oscar Diaz Arado, Harry Moenig, Hong Wang, Lifeng Chi*, Zhaohui Wang*, Klaus Muellen, Harald Fuchs*, Surface Supported Gold-Organic Hybrids: On-Surface Synthesis and Surface Directed Orientation，Small 2014, 10, 1361-1368. Xueli Shen, Xiaodong Wei, Pengli Tan, Yingguo Yu, Biao Yang, Zhongmiao Gong, Haiming Zhang, Haiping Lin, Youyong Li, Qing Li*, Yongshu Xie, Lifeng Chi*, Concentration-Controlled Reversible Phase Transitions in Self-Assembled Monolayers on HOPG Surfaces, Small 2015, 11, 2284-2290. Biao Yang, Jonas Bjork, Haiping Lin, Xiaoqing Zhang, Haiming Zhang, Youyong Li, Jian Fan, Qing Li, Lifeng Chi*, Synthesis of Surface Covalent Organic Frameworks via Dimerization and Cyclotrimerization of Acetyls, J. Am. Chem. Soc. 2015, 137, 4904-4907. Can Wang#, Pritam Kumar Jana#, Haiming Zhang, Zhongcheng Mu, Gerald Kehr, Tobias Blomker, Gerhard Erker, Harald Fuchs, Andreas Heuer*,Lifeng Chi*, Controlling two-phase self-assembly of an adenine derivative on HOPG via kinetic effects, Chem. Commun. 2014, 50, 9192-9195. Dingyong Zhong, Joern-Holger Franke, Santhosh Kumar Podiyanachari, Tobias Bloemker, Haiming Zhang, Gerald Kehr, Gerhard Erker*, Harald Fuchs*,Lifeng Chi*, Linear Alkane Polymerization on a Gold Surface，Science 2011, 334, 213-216.